Super Showstoppers: Superb Children's and Party Entertainment in Los Angeles! LAUSD SCHOOLS: CLICK HERE! WE ARE ACPN PARTNERS FOR APS SCHOOLS! Click on the Holiday Entertainment link for great ideas! for the fun has just begun! 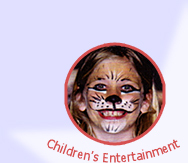 Children's Entertainment: For birthdays, schools, libraries and events. 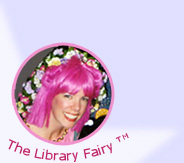 Library Fairy: A magical storytelling program for schools, libraries & TV ! Corporate Events: Entertainment for corporate parties and picnics. Unique Acts: Look-alikes, singing telegrams and one-of-a-kind acts.